Designed for the contemporary household, this bath set can now keep your bathroom organised. Crafted from superior quality material, it is easy to maintain. It contains a soap dispenser, a toothbrush holder, a tumbler and a soap dish that make it utilitarian. 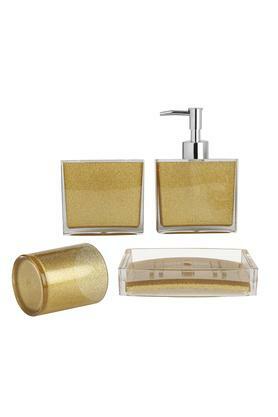 Keep your bathroom neat and organised with this bath set from Freelance.